We conclude with a sacred sound meditation [42:55-54:05] with crystal bowls and Jamie singing. There are silent spaces during the meditation, so just allow yourself to lean in & enjoy. Founder of the humanitarian foundation, Love Rising, Jamie Lu stands for the freedom and enlightenment of humanity. She leads transformative retreats that initiate men and women into their own unique wisdoms and authentic gifts. Her services are known to guide individuals into deeper levels of freedom and spiritual sovereignty, restoring wellness and balance in relationship, health and life purpose. 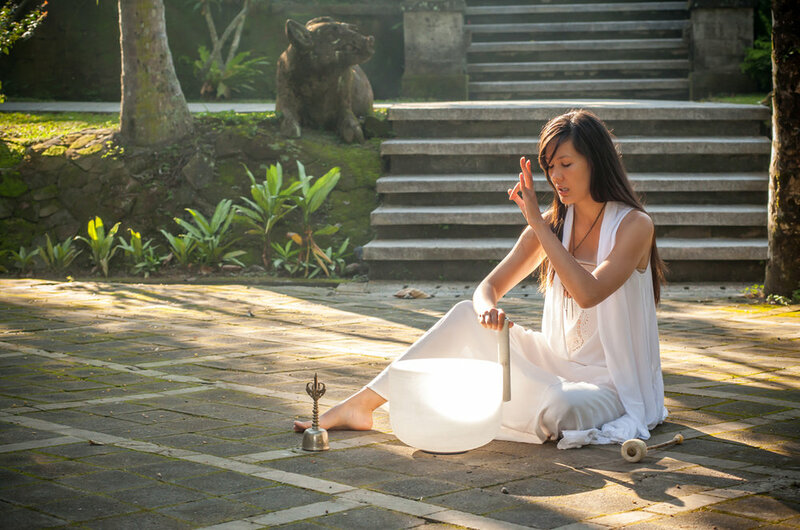 An Alchemist of Sacred Sound, Jamie facilitates the raising of consciousness and vibration that often induce spontaneous healings, spiritual awakenings, alignments and optimal functioning of the mind-body-spirit. Using the gift of clairvoyance, her voice, and healing instruments such as crystal singing bowls, she has helped countless individuals world wide find peace and happiness in their heart and life.